Snrky: I might be losing my mind. Did you review, or revise? I might be losing my mind. Did you review, or revise? Title: I might be losing my mind. 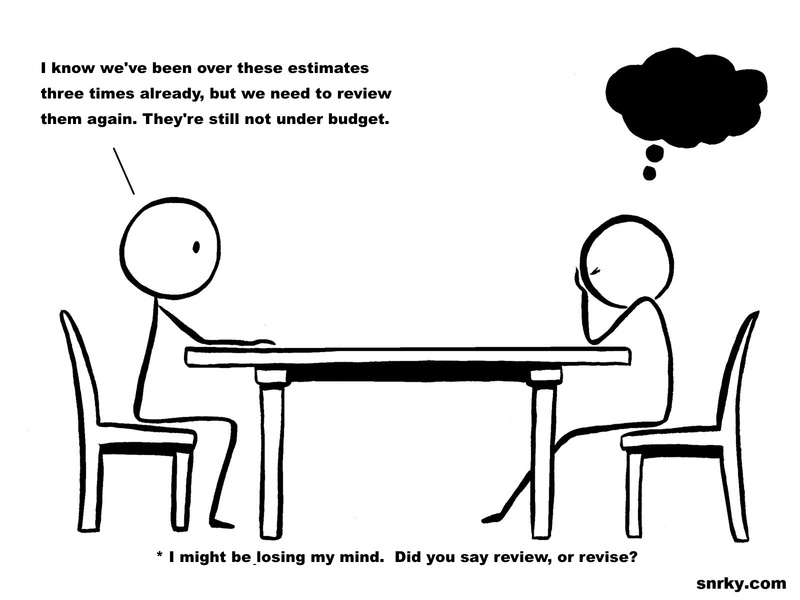 Did you review, or revise? Snarky: I know we've been over these estimates three times already, but we need to review them again. They're still not under budget.